Taiko Center of the Pacific Youth Group will open for On Ensemble, a contemporary taiko ensemble recognized for infusing the powerful rhythms of taiko with a wide range of musical influences from jazz and rock to central Asian overtone singing. December 31, 2018 10 am The Art of Taiko, a public lecture/demonstration on the many drums of Japan. From the thunderous sounds of a lightning storm to the image of falling snow, the taiko has the power to express a myriad of emotions and images. 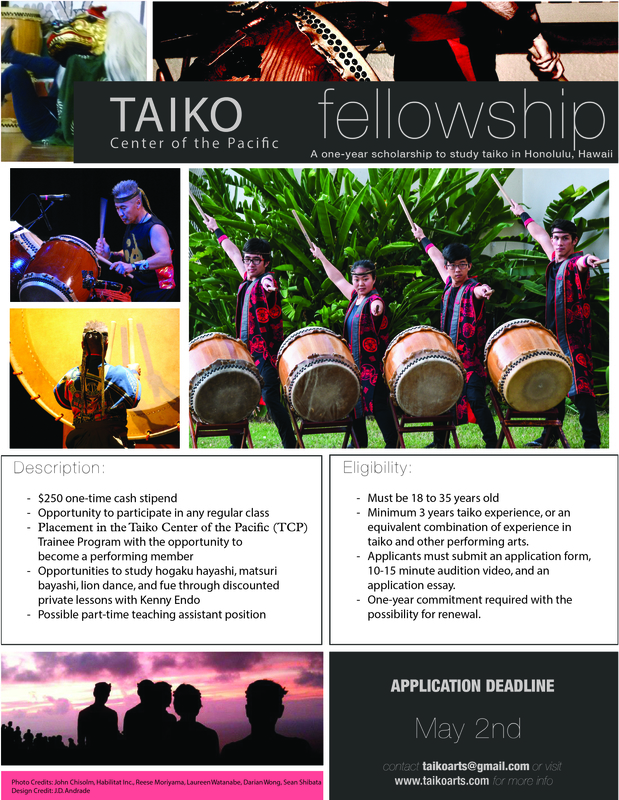 JOIN Kenny Endo and the Taiko Center of the Pacific on the last day of the year. Prince Hawaii Waikiki, 100 Holomoana Street, “Ala Moana Foyer” FREE & Open to the Public. Welcome the New Year’s SUNRISE at Makapu’u Point! CELEBRATE the NEW YEAR with the Edo Kotobuki Jishi, the traditional lion dance from old Tokyo.